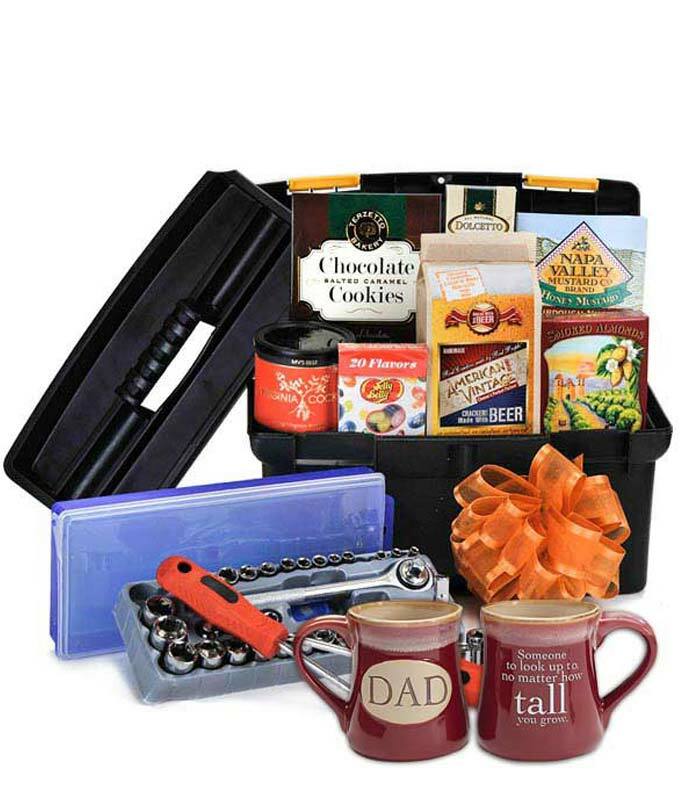 Let your Dad know that he is the sharpest tool in the shed with this fun Dad Mechanic ToolBox Gift Basket. This basket is filled with goodies that are delivered in a toolbox that comes with two screwdrivers and a socket set. Treats that are included with the toolbox include biscuits with beer and chipotle lime flavor, chocolate cookies, salted caramel cookies, jelly beans and more. In addition to the tools and the treats, a Dad mug is included which your dad can cherish for years to come. Whether it is for Father's Day or your dad's birthday this Mechanic Toolbox Gift Basket is a perfect gift.